You can now get the OPPO A83 at 0% interest thanks to Home Credit. The promo is only until April 30, 2018. The phone features a 5.7-inch 18:9 display, an octa-core processor, and an AI-enhanced selfie camera. The OPPO A83 is now available at 0% interest in 6-month installments via Home Credit until April 30, 2018. If you’re thinking of getting one, just bring two valid IDs to participating stores and approach the in-store staff or a Home Credit sales associate. It only takes 20 minutes to process your application. 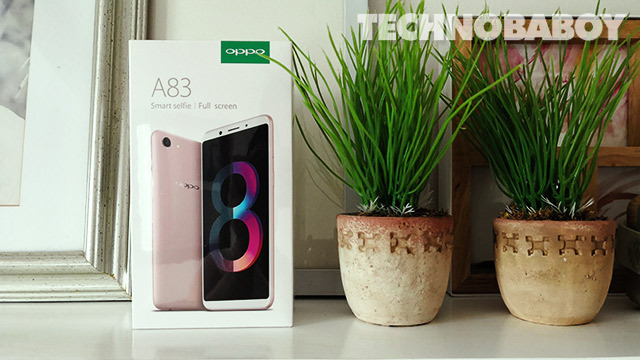 The OPPO A83 features a 5.7-inch HD display with an 18:9 aspect ratio and tiny bezels. The handset is powered by a 2.5GHz octa-core MediaTek MT6763T processor, paired with 3GB of RAM. It also has a 32GB storage that can be expanded via the dedicated microSD card slot. As for the cameras, the phone is equipped with an AI-enhanced 8MP selfie shooter, and a 13MP rear camera. It runs on Color OS 3.2 on top of Android 7.1 Nougat, and packs a 3,180 mAh battery. The OPPO A83 is now available in the Philippines with a suggested retail price of Php9,990. hm poh down?? and montly pay?? Magkano po downpayment ng a83?pwede npo ba drivers liscense and sss id?